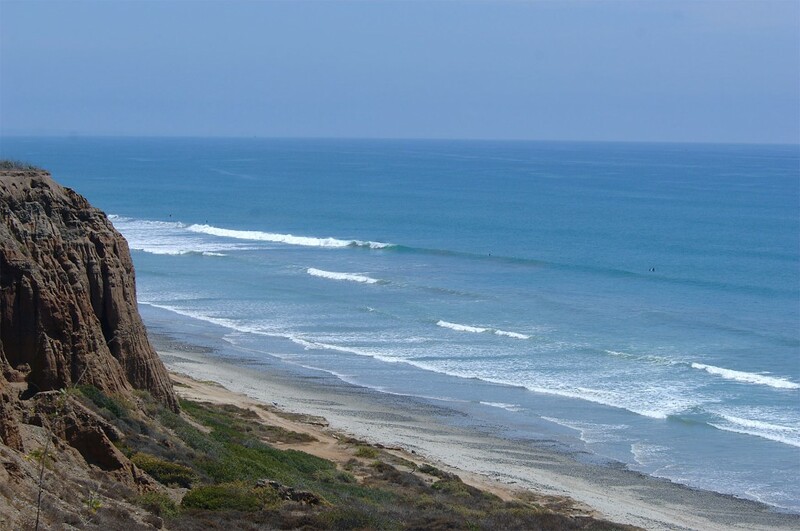 The Endless Summer Surf Camp has a beautiful campsite overlooking the pacific ocean in the San Onofre State Park campground, which is just south of the city of San Clemente, California. San Clemente is approximately 60 miles south of Los Angeles and approximately 60 miles north of San Diego. San Clemente has an average summer temperature of 78° air, and 70° water. San Clemente is the surf energy capital of Southern California and has produced many top professional surfers such as Kolohe Andino, Nathan Yeomans and the Gaudaskas brothers. The area offers a variety of waves from the easy rolling waves of San Onofre for the beginners, to the world class point surf of Trestles for the more experienced surfers. Our location at Trail 4 is a fun open beach break good for all levels of surfers. The local points of Trestles and beach breaks to the north and south are ideal for the more experienced surfers. Summer is prime season for surf in our area as the Southern Hemisphere swells hit us directly. The average wave height is 2-4 feet with plenty larger days. The Endless Summer Surf Camp is located just south of the city of San Clemente, CA. in the San Onofre State Park Campground just south of the city of San Clemente, CA. San Clemente is 60 miles south of the city of Los Angeles and 60 miles north of San Diego. The nearest and most preferred airport is the John Wayne/Orange County airport located approximately 30 minutes from our campsite. Los Angeles International Airport and San Diego’s airport are both located approximately 1.5 hours from the Endless Summer Surf Camp. The Endless Summer Surf Camp provides a curbside airport pick-up and drop-off service that allows for students to be met by a surf camp representative at baggage claim. If a student is traveling as an unaccompanied minor, arrangements can be made for gate side pick-up and departure for an additional fee.